Hair removal does not have to be a pain. While there are many options in hair removal—from shaving to modern laser treatments—waxing remains the most viable option today. Proper waxing removes hair with relatively little pain and provides a prolonged period before hair growth returns. Compared to laser hair removal and electrolysis, waxing is less expensive and can be used quickly and easily to remove large areas of unwanted hair. However, to understand the proper way to wax, it is important to first understand the biology of hair. Hair is primarily composed of protein—anywhere from 65–95%. It can contain lipids that increase in puberty and decrease as humans age. The hair grows from the dermal papilla attached to the hair bulb, which is fed by blood vessels below the skin surface. From the hair bulb, the follicle grows vertically through the hair shaft, linked to the sebaceous glands present in the dermal layer. The mature hair shaft emerges from the skin surface. When hair is growing, it might not be growing at the same rate or in the same phase as the hair next to it. Each individual hair could be going through a different hair growth stage—i.e, anagen, telogen and catagen—than the hairs that surround it. Anagen. Hair’s growing phase is anagen, where the hair follicle is at its deepest. This can last two to six years. Catagen. This stage is a transitional phase, where the hair follicle shrinks and separates from the dermal papilla. This can take one to two weeks. Telogen. This stage is a resting phase. The hair separates from the dermal papilla below the surface and does not grow. Here is when the hair follicle shrinks to one third its original anagen size and eventually falls out. This can last five to six weeks. Eventually, the dermal papilla will create a new hair bulb and return to the anagen stage to begin the hair cycle again. By efficiently waxing the hair in a relaxing, sterile environment with the proper protocol and beneficial ingredients, waxing can be an enjoyable client experience. The key to proper waxing is to perform the treatment within a sanitary environment. The skin is more susceptible to disease and infection when the follicle is stimulated by hot wax. Therefore, the environment and instruments used to wax must be sterile and free of bacteria during every treatment. Federal law states that everyone should be considered as contaminated and that service providers who are occupationally exposed or have potential to be are required to use preventative measures to prevent cross-contamination.1 For the client and esthetician’s, safety, the following protocol should be implemented. Wash. Before and after each client, wash your hands. Use liquid antibacterial soap for at least 10–15 seconds. Gloves. Use gloves to ensure your safety and the safety of the client. Use non-latex versions and make sure they fit properly. No double dipping. It goes without saying, but must be said again—no double dipping. Sterile instruments. All non-disposable instruments must be sterilized in a sterilizer or autoclave before and after treatments. This includes metal spatulas, tweezers and body brushes. Disposable items must be kept in a closed environment near the waxing station. Change covering. Each treatment requires a fresh disposable sheet, towel and paper covering. Clean environment. Clean and dust the treatment room each evening before going home. Remove all wax residue from the floor, trolley and pot. Prior to the waxing appointment, clients must be advised that their hair needs to be at least one-eighth of an inch long for effective removal. They should exfoliate the day before the appointment, not the day of, as this can lead to irritation. Advise first-time waxing clients to arrive 15 minutes prior to their waxing treatment. This is the time when you can learn about their medical and cosmetic history. Medications that are contraindicative of waxing include isotretinoin and adapalene, both forms of vitamin A used to treat acne. This can cause skin to become thin and fragile. Skin could also be highly sensitized during a course of tretinoin, another form of vitamin A. Blood thinners can cause easy bruising of the skin. Additional contraindications include recent use of alpha hydroxy acid (AHA) products, glycolic acids and peels; cancer treatment; herpes and herpes simplex in active stages; sunburn; open lesions; moles; skin tags and warts; and inflamed or irritated skin. Some people consider waxing as torturous, but it does not have to be. With a little creativity, a waxing service can be transformed into a relaxing spa experience. A quick shiatsu massage with calming essential oils should be performed prior to a facial wax, for example, with the client instructed to breathe deeply to reduce tension. For a longer service, the client should be comfortably situated, with their own selection of music playing. A soothing, hydrating facial mask should be offered while they are being waxed to pamper them and enhance the spa-like experience. The client should be draped properly for modesty, and the waxing bed should be warm with blankets provided. Preparing the skin for waxing is an important step in maintaining efficacy and preventing adverse reactions. If the skin area has excess oils, sweat or bacteria, opening the hair follicle will lead to breakouts and infection. For this reason, skin must be sanitized with an alcohol spray or wipes and patted dry with a disposable towel. Body skin should be dry brushed, preferably with a goat hair brush, to lift any ingrown hairs from the surface. For facial waxing, saturate the area with a cotton swab moistened with alcohol and pat dry with a medical grade tissue. There are several key attributes that must be present for an effective wax. The formula must go on smoothly with minimum strokes without pulling the hair. Wax formulas have evolved to contain skin-soothing ingredients that promote optimal skin health, including nourishing and hydrating seaweeds, which help skin retain moisture. Oils containing high levels of the antioxidant vitamin E help hydrate, nourish and firm. Aloe vera, an anti-inflammatory, soothes and heals skin. Minerals such as zinc oxide provide antimicrobial properties while absorbing oils and soothing skin. Another key indicator of an efficient wax is that it is not painful to remove. A good formula is easily removed, yet grips the hair thoroughly to remove it from the root, ensuring longer hair regrowth time. This also helps to prevent the formation of ingrown hairs. Wax should be applied in the direction of the hair growth, not exceeding coverage of a 10-by-3 inch area, with a strip not exceeding 8-by-3 inches wide, leaving enough room for grip. Apply wax in a thin layer and press down. Remove in one swift motion in the opposite direction of the hair growth. Repeat this on all areas to be waxed, disposing of the strips in a clean garbage can nearby. Repeat until all the desired hair has been removed. The condition of the skin after waxing is also as important as thorough hair removal. Unsightly and painful bumps and rashes can make the skin more unattractive. Careful attention must be given the skin after the waxing service. With facial waxing, apply a cold gel rich in antioxidants immediately after waxing and follow with an alcohol-based astringent. Apply a hot towel to soothe the area. For sensitive areas, such as the chest and back, complete the service with a calamine-based soothing mask and leave on for 10 minutes. Remove gently with lukewarm water, then follow with cooled gel. The final step is to veil skin in a quality body oil to replenish skin’s moisture barrier and provide deep conditioning. Avoid mineral-oil based products and opt for natural oils such as mafura, carrot, olive and fruit oils, which contain antioxidants such as beta-carotene and vitamins A and E.
Hair removal is big business for both men and women. Attention to detail, such as a sterile environment, relaxing setting, incorporation of important skin care ingredients and proper training can make waxing a significant business booster. Lydia Sarfati, president and founder of Repêchage, is an internationally recognized skin care expert quoted in Vogue, InStyle, Glamour and The New York Times, and she has been featured on CNN, CBS and Fox. 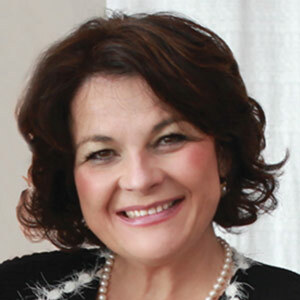 Sarfati has more than 30 years of experience as an esthetician, spa owner, manufacturer and consultant, and is a member of Skin Inc.’s 2014–2015 Editorial Advisory Board. Phlorotannins are different from tannins in terrestrial plants, but the physiologic properties are simular. They have antioxidant properties, scavenge free radicals, are anti-inflammatory, have chelating activity and protect against oxidative stress. Seaweed also contains essential fatty acids that help maintain the skin barrier, and polysacc­harides such as alginic acid, which help to lock moisture into skin. It is also known to help increase cell prolifer­ation. All of the above have made seaweed a helpful ingredient to incorporate into waxing products, with the below being particularly beneficial. This brown seaweed thrives in the middle section of the ocean. It is rich in vitamins, minerals and amino acids, and is used mainly to hydrate and nourish the skin. This brown seaweed is found in the upper middle section of the ocean, and is known for its hydrating, nourishing and antioxidant properties. Laminaria digitata is rich in vitamins, minerals and amino acids, and helps to lock moisture into the skin. This bacterium originates in the extreme conditions of deep sea hydrothermal vents and has clinically proven enzymatic, DNA and cell protection properties. It is known to help skin combat free radicals, radiation and solar energy for defense against over-exposure to the sun. Watch Sarfati’s waxing protocol at http://t­inyurl.​com/​sea-wax.